Even as we enter the spring and summer months of what's normally a ramp-up time in real estate, we're seeing a deficit in the number of new and active listings for sale. 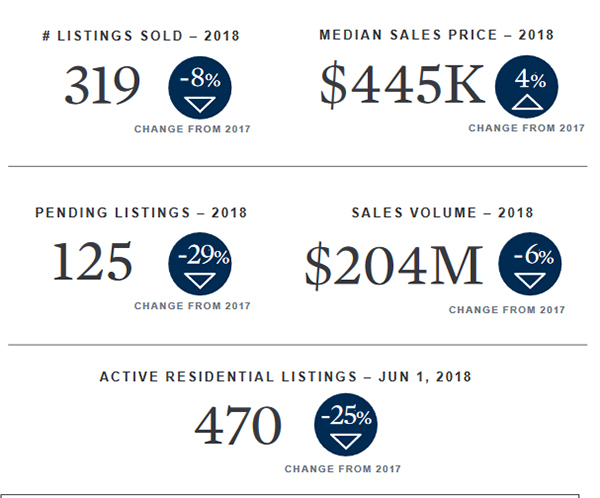 Both volume and the number of overall transactions have been impacted due to the fact that the Steamboat Springs real estate market is seeing 25% less property on the market over what we had this time last year. The property that is selling seems to be turning over more quickly (i.e. less days on market) however buyers are still working to negotiate on price. We're not seeing an abundance of property selling for at or over asking price, but final sales prices are hovering within less than 10% of asking.